Karen has been working for Marin Eyes/Marin Ophthalmic Surgery Center since 1991. She currently manages the surgical services of our Surgery Center and is a certified ophthalmic technician with a sub specialty in surgical assisting. 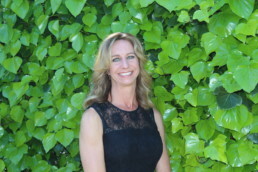 Outside of Marin Eyes Karen enjoys teaching indoor cycling classes, paddle boarding and hiking. She lives in Petaluma with a wonderful family and two dogs.